The daily Cup of Coffee is always worth reading to catch up on all the previous days' games from the night before, and Friday morning's was especially worthwhile. 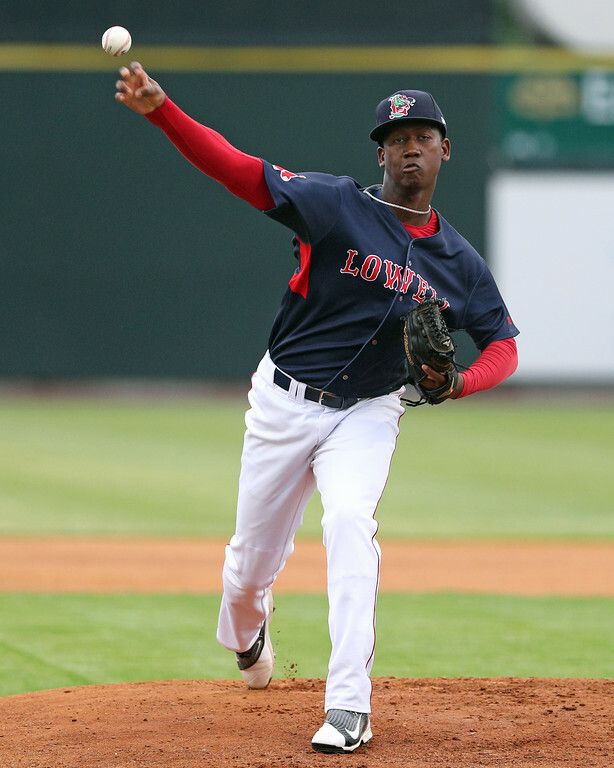 Enmanuel De Jesus started for the Greenville Drive and combined with two other pitchers to no-hit the Asheville Tourists. Strangely, they were unable to shut them out, winning 5-1 after giving up a run on a hit batter who advanced and scored on a wild pitch and a throwing error by the catcher. SoxProspects.com Director of Scouting Ian Cundall was back at it this week, unveiling his latest edition of Scouting Scratch. This one covered two right-handed pitchers that joined the system last year: 2017 22nd-round pick Hunter Haworth and 2017-2018 international free-agent signing Alexander Montero (pictured). Cundall's work was not over with the SoxProspects.com podcast team back at it for a new episode. Chris and Ian discussed the 2018-2019 international signings, final 2018 draft signings, the July rankings update, and scouting notes on both Salem and Lowell. 2080 Baseball released their 2018 mid-season rankings. If you are looking for Red Sox prospects, be prepared to scroll for a while since infielder Michael Chavis is the first (and only) Red Sox prospect at #92. Another reminder that the SoxProspects.com donation drive goes through August 10th. Please consider a donation so that we can continue to provide this great content and keep the site free, just as we have done for the last 15 years. Photo Credit: Alexander Montero by Kelly O'Connor.